I started to try and draw a normal chibi character today, I kinda did the outline of part of it. But I haven't really added anything to it yet. My main focus to begin with on it though was the face. and I cannot get the eyes right so I may work on the drawing a bit later today again. And out of no where my head started to hurt so now I have a small headache. So thats great:/ Its probably cause I was outside all day for 5 hrs and 40 mins in the sun and didn't really drink much until I came inside. But I guess I will be fine, as long as I have my waterbottle by my side! 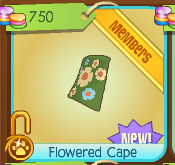 Today we have the new flowered cape sold in jam mart clothing for 750 gems! To be honest this item is a bit expensive for a cape. I can undertstand like 550 at the max but 750 is just pushing it. 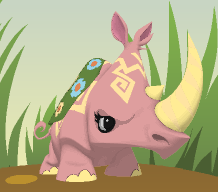 For this week's mini challenge I decided to post a few riddles that I found on a website (do riddles) for you guys to try and answer! I made the site smaller incase you guys decide to search up the answers for! Please don't search up the answers, because in tomorrow's post if I remember I will post the answers!! YIPEE!!!! I know a word. 6 letters it contains. And yet if you take one away 12 is what remains. What word does not belong in the following list: stop, cop, mop, chop, prop, shop, or crop? I am found in the sea and on land but I do not walk or swim. I travel by foot but I am toeless. No matter where I go I am never far from home. What am I? Hope you guys have fun figuring out those riddles. The second one should be the easiest I think. Im not really sure if "unknown" is a good word to use for checking out blogs that I personally have never heard of or seen. But hopefully some of you guys have never heard of the blogs either. 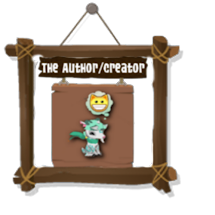 I will be showing 3 blogs. I may do this again in the future. But it really depends. 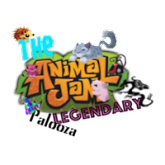 The first one I found isn't really an AJ blog, but I have never came across this blog in my whole 4 years of playing Animal jam. 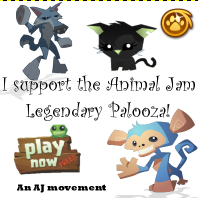 It's more of like a factslide site if you have seen those, Except this if for Animal Jam funny bans. 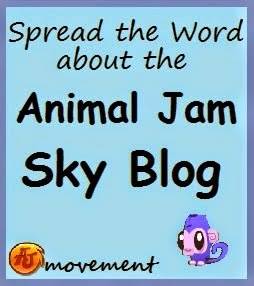 This is actually kinda hard to find unknown aj blogs that exist. Sorry if you guys were looking forward to that. 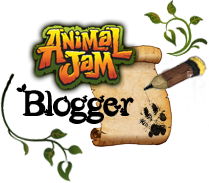 Remember if oyu have a blog you can comment down on the jamtastic blog pages and it will be added!! 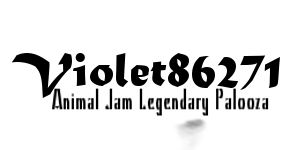 - Why you would like to be Legendary Paloozian of the month! Entries are due this Friday!! Sorry this post was mostly words as well. Maybe I should have done a bit more research about the sites. See ya tomorrow with the update!! In my opinion the movies don't show like half the important parts that the books do therefore I like the books better than the movies. Which sequel was it the kill order or the fever code cause I am reading the kill order right now and it is the first prequel to the trilogy. And it's okay so far but then again im almost half way. I WANT THE FEVER CODE FOR MY BIRTHDAY!!! BUT I JUST THOUGHT I HAVE A CHAPTERS GIFT CARD I COULD USE TO BUY IT NOW:O BUT ILL PROBABLY WAIT TILL MY BIRTHDAY TO SEE IF I GET IT:) AND IF NOT THEN I SHALL GET IT CAUSE I WANNA READ WHERE SHE WENT WHICH I HAVE WHICH THE SEQUEL TO IF I STAY WHICH WAS A REALLY GOOOOOOODDDDD BOOK!!! WHAT DO YOU AND JA THINK OF THE TRILOGY SO FAR? WHOS YOUR FAVOURITE CHARACTER? Cause mine is Newt and he is played by Thomas Brodie-sangster. Do you rememeber when I talked about him on google hangouts???? I CANT WAIT TILL THE DEATH CURE COMES OUT!!! I WANNA SPOIL SOMETHING REALLY BADLY FOR YOU GUYS WITH THE DEATH CURE..... BUT I CANT. know a word. 6 letters it contains. And yet if you take one away 12 is what remains. stop, cop, mop, chop, prop, shop, or crop? Uh cop? 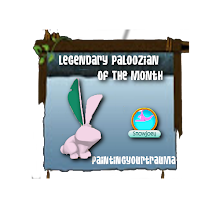 Why you would like to be Legendary Paloozian of the month! Umm because it sounds fun and creative.